In this video interview from Euronews, Rosetta project scientist Dr Matt Taylor explains why the Rosetta spacecraft will be ‘crashed’ onto the comet on 30th September. 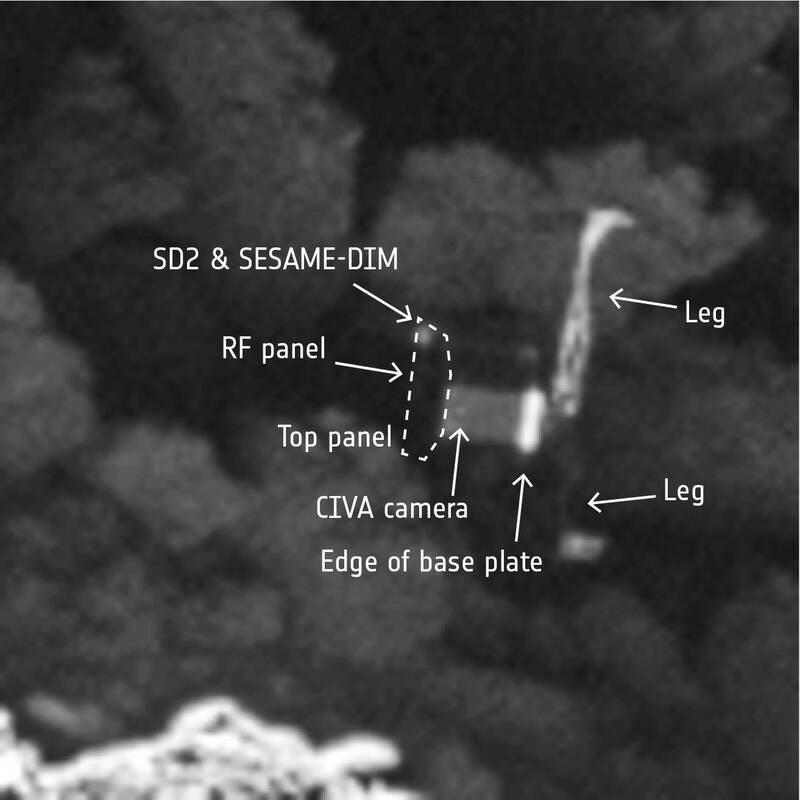 Just a month before the end of the Rosetta mission, and a few weeks after all attempts to communicate with th elander were finally given up, the Rosetta orbiter has acquired images that clearly show the lander on the comet. 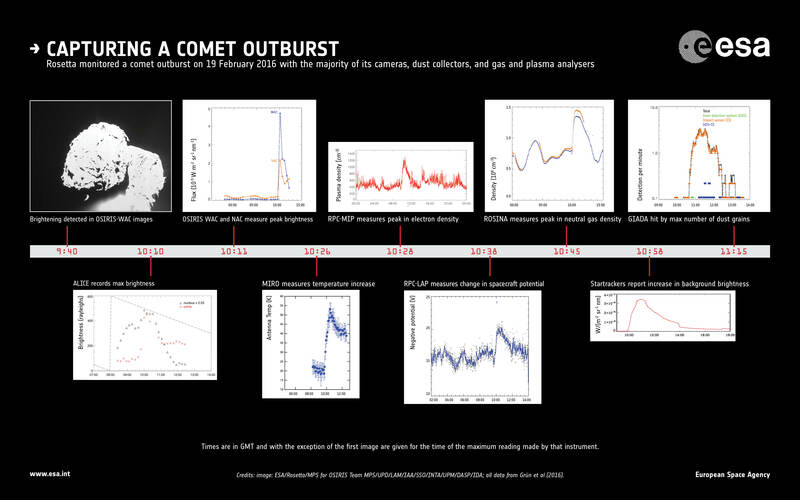 This is possible because the orbiter is now much closer to the comet (on a riskier trajectory) than was the case during earlier phases of the mission. The images that show the lander were acquired from a distance of just 2.7 km, and have a resolution of 5 cm per pixel. As expected, the lander was located in a crack in the Abydos area (on the smaller of the two lobes of the comet). See also the ESA announcement. A paper soon to appear (as of September 2016)describes a dramatic event captured by the Rosetta instruments earlier in the year. As a shadowed region of the coment rotated into sunlight, it is thought that thermal stresses led to a landslide and subsequent rapid evaporation of fresh ‘ice’. Rosetta saw large increases in brightness, gas temperature and density and the number of dust particles. A few days later, astronomers on Earth noticed that the density of the comet’s coma had increased.